2. 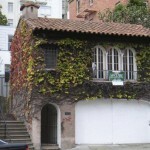 1625 California: Of the seven “2ND Release now available! Going fast!” units we featured two weeks ago, one (#55) has gone pending, while the other six remain available (a couple after 3+ months). 3. 1551 Filbert: After 45 days, one (#1) of the three “truly special & will not last” TICs has garnered an offer (#2 and #4 remain Active). And no, we’re not implying that the market has “popped”, “crashed”, or “tanked”. Just that it has changed. And that “if you build it they will buy it (regardless of the design, price, or marketing)” thinking might just be a thing of the recent past (along with “guaranteed” double-digit appreciation).